Torn-out magazine pages and employee-of-the-month certificates line her cubicle walls, all displaying her smiling face and bolded name: Elena Kadvany. “I’m not used to being on this side,” she laughs nervously at the beginning of our interview. As she discusses her passion for uncovering the truth, however she becomes more self-assured, her dedication coming through her purposeful words. Located on the second floor of the Embarcadero Media building, Kadvany’s Palo Alto Weekly office is nestled at the heart of the local hub where journalists work to deliver a variety of local stories, whether they be food reviews or breaking news. Kadvany is one of three primary journalists at the Weekly and specializes in education reporting. Since joining in 2013, she has become one of the most prolific local reporters of the Peninsula. Kadvany’s interest in journalism traces back to her youth. She says she always knew she was good at writing, but fiction was never her forte. It wasn’t until she first walked into her introduction to journalism class at New York University that she discovered reporting was her calling. While the journalism class proved to be extremely challenging, she immersed herself in her work on the college paper. During her sophomore year, she transferred to the University of Southern California where she continued to explore different mediums of journalism such as documentary and radio through internships, all the while getting more drawn to journalism. Working at the Weekly is Kadvany’s first full-time newsroom job. She started as an editorial assistant, working her way up to digital assistant and finally a reporter. While Kadvany loves covering education, she’s also an avid food writer. She says that she found an unfulfilled need for food reviews at the Weekly, so she suggested to her editors to start Peninsula Foodist, her food blog. The variety of stories Kadvany writes are a testament to the freedom and independence the Weekly provides her. 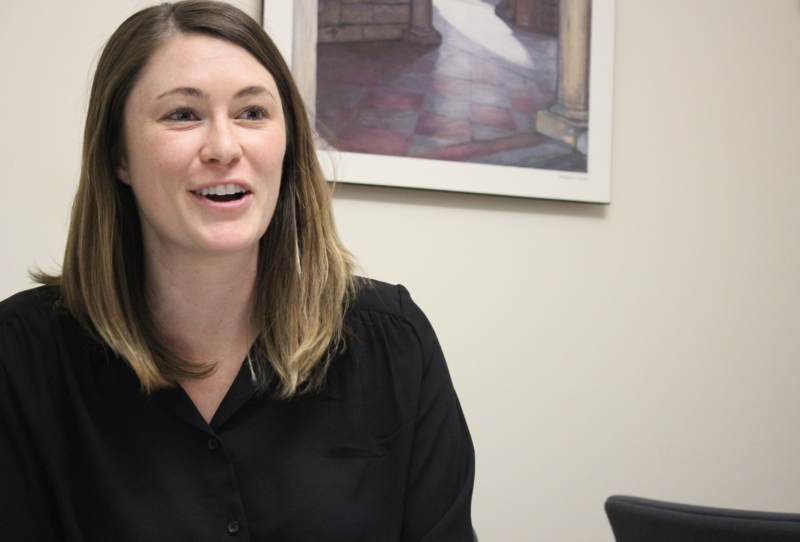 While she often reports on anonymous tips or editor suggestions, she says she also pitches her own ideas, her favorites being those that reflect broader community issues. “I’ve written about undocumented students [and] mental health is a big one that has local importance as well,” Kadvany says. Though she recognizes the struggles the journalism industry faces both nationally and locally, Kadvany is determined to prove the worth of ethical reporting through her journalistic endeavors.